Raising children with allergies can be relatively difficult. 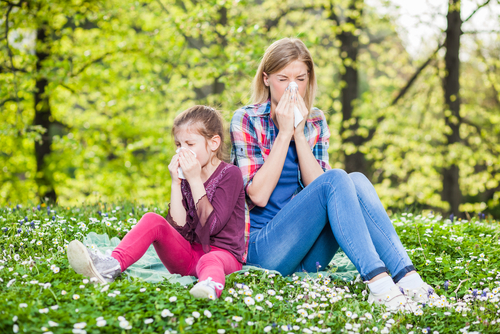 The most minor things that they come into contact with outside of the family home can set off allergic reactions, respiratory difficulties, or other conditions. But when it comes to your own home, you can regain a little control. There are various steps that you can take to actively make your home an allergen-free safe haven for your little ones. Here are a few different steps that you can take to achieve this! When choosing flooring for your home, you should opt for hardwood, vinyl, stone, ceramic, tile, or laminate flooring throughout. Carpet may be cosy and comforting, but deep pile provides a breeding ground for allergens such as dust mites, mold, and mildew. This may be fine for the majority of people, but it can kick off negative symptoms in little ones with allergies. Browse different options available to you at Carpet One. This company provides plenty of high-quality alternatives to carpet! Pets can be great companions for children. They teach them a lot about caring for others and show them that animals are sentient and important creatures with feelings too. However, pets tend to trigger allergies in many people. This doesn’t necessarily mean that children with allergies cannot have pets. It just means that you need to be especially careful with your choices. Many people automatically think that a fish would be the best pet for a child with allergies, but they are not very engaging, are unlikely to develop a bond with your child, and when it comes down to it, keeping a fish in a tank could be considered cruel. Instead, consider non-molting breeds of cats and dogs. Popular choices of dog include Bichon Frises, Poodles, Lhasa Apsos, Tibetan Terriers, Maltese, and soft-coated Wheaten Terriers. There tends to be less choice when it comes to cats, as most cats molt, but the Sphinx is a steadfast favourite amongst families with allergies. No matter how careful you may be when it comes to making your home an allergen-free zone, there are always likely to be a few particles of something or other floating around. You can combat these with an air filtration system. This will actively purify the air around your property. 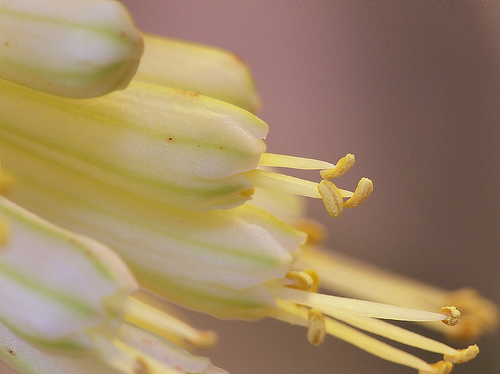 If you are saving for one of these, consider using pollen-free houseplants to naturally filter your air too! Following these simple steps can significantly reduce the amount of reactions that your little ones have when they are in the confines of their home. So, start incorporating them into their lifestyle today! 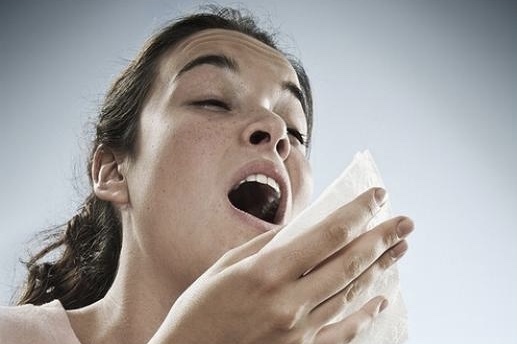 Indoor allergens can cause problems for your family year-round. Chronic sinus inflammation, skin issues, or even behavioral problems can often be attributed to allergies, and the symptoms can interfere with the quality of your sleep and your daily life. If you want to control your symptoms without the side effects of medication, you’ll need to eliminate the source of the problem. Here are the most likely culprits and some tips for combatting them. 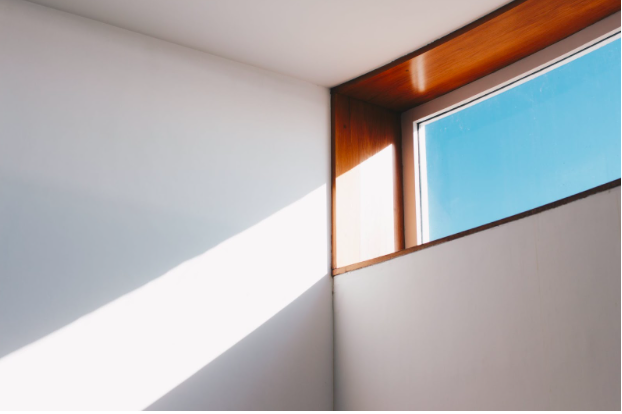 One of the most common, and often overlooked, sources of allergy symptoms is probably collecting around your baseboards and on top of your window frames. Dust is made up of minuscule bits of plants, dirt, fibers, insects, skin, and other matter, any one of which could be triggering your allergies. Dust mites are tiny creatures that thrive in dust, and their droppings are the most common source of asthma and allergy symptoms. They love dead human skin flakes and humidity and tend to settle in your bedding and rugs. The biggest step to combat dust in your home is encasing your mattress and pillows in dust-proof covers. Keep dust down by washing your bedding regularly and vacuuming rugs thoroughly with a HEPA vacuum. Have your ducts professionally cleaned to remove any dust mite nests lurking there, treat your drapes and upholstery with a dust mite treatment, and install a dehumidifier to reduce the moisture content in your indoor air. Contrary to popular belief, pet dander is not animal hair, but a protein that comes from the pet’s saliva. It’s a sticky substance that coats the hair and can also cling to people’s clothing and shoes, so dander is often present even in homes without pets. If you are allergic to your best friend, there are some ways to minimize your suffering. Keep pets out of your bedroom and restrict them to rooms without carpeting if possible. Bathe your pets often and wash your hands after touching them. If you can’t keep your animals off your upholstered furniture, at least give them towels to lie on and wash those frequently. Preventing mold is mostly a matter of controlling moisture in your home. Repair leaks promptly, waterproof your basement if necessary, and keep your gutters in good repair. Fix any ventilation issues that cause moisture to collect in your bathrooms or kitchen. Encourage airflow throughout your home by opening doors and installing ceiling fans as needed. If your home is prone to mold or mildew issues, a dehumidifier would be a good investment. Like dust mites, the real problem with cockroaches is the droppings, which contain a protein that is a common allergen. If you choose not to use chemicals to control cockroaches, you can discourage them by sealing up cracks in walls, cabinets, doors, and cupboards. Take your trash out often and keep the kitchen floor clean of crumbs and spills that might feed them. Controlling allergens in your home can feel daunting at first, but once you’ve tackled a few initial tasks, the maintenance work will be fairly simple. Getting sick is the worst. Have you ever thought about what causes your illness? Diseases oftentimes spread due to unsanitary items with which you interact daily. Here are four hidden culprits that could be making you sick. While you may have confidence in your drinking water, recent events in Michigan demonstrate how easily water can become unsanitary. Since hydration is a key part of staying healthy, you need confidence that your drinking water is safe. Thankfully, methods are available to learn for certain that your water contains no harmful chemicals. Your first step is to contact your local utility. Ask about the source of the water as well as the utility’s sanitation methods. Also find out how it tests the water to verify its safety. The second thing that you can do is test the water yourself. 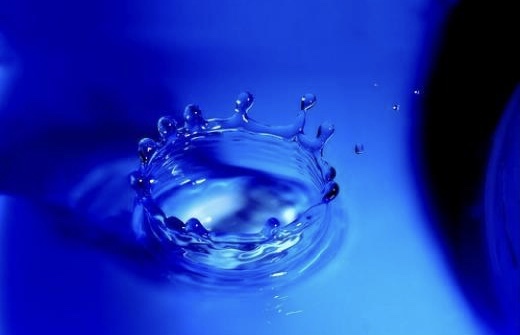 Finally, independent of everything else, you should add a filtration system for your drinking water. It’s the proactive step that allows your family to hydrate safely. Unless you haven’t dusted in a year, you’ll never notice most of the allergens in your home. Dust mites, pollen, and bacteria are virtually undetectable unless they build up in huge numbers. These allergens are also the source of many illnesses and skin irritants. They could make you sick without your ever realizing the issue. The best preventive step to take involves a bit of home maintenance. You want to improve your indoor air quality, or IAQ. Add a few plants throughout your home; they naturally cleanse the air. You should also remember to change your HVAC air filters, especially in spring when pollen starts to fall. Old filters restrict airflow, and your HVAC unit spreads those contaminants throughout the home. In fact, hiring a repair service to look at your unit might help identify potential IAQ problems. In a cruel twist of fate, some of the foods that have a reputation as healthy are actually foods that can make you sick. Food poisoning occurs frequently, and some of the causes will shock you. Leafy greens can spread contaminants because they rely on water to grow. When the water is unclean, it spreads to the greens. Raw eggs and fish are other potential causes of food poisoning. Even meat, whose processing the FDA regulates, still occasionally undergoes a bacterial outbreak. Generally, chicken is the culprit, but beef can have E. coli, too. Pay attention to the warning labels on all your foods and watch consumer sites for updates on food recalls. The items that you touch most often during the day are the ones most likely to cause infection. Whether you use a laptop, tablet, or smartphone, you’re at risk. Any unsanitary usage could cause bacteria to spread across your device. Each time you interact with it, you’re a carrier, moving the disease to a larger area. Clean your technological devices regularly to avoid hygiene issues. As you can see, the potential for sickness is everywhere. Now that you’re alert to it, follow the suggestions above to safeguard your family. 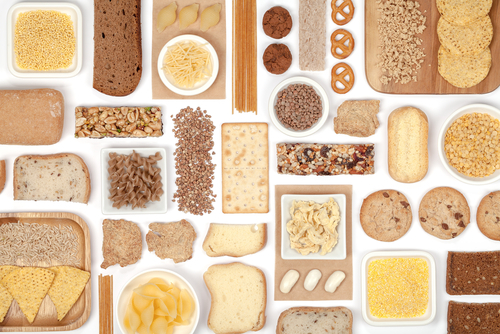 Gluten sensitivity affects about 15 percent of the United States population. Some doctors believe that between 30 to 50 percent of people worldwide have a gluten sensitivity. The problem is that some people only have signs or symptoms of the sensitivity, while others will have antibodies in the blood that are caused by the immune response. If you think that your child has a gluten sensitivity, here are some of the most common indications to look for. Skin rashes for children are common, and in many cases the cause is undiscernible. If you notice that your child is getting a rash within a 36 hour period of eating gluten, this could be the body challenging the gluten. Many times, skin that is red,itchy, or peeling, is eczema. Eczema is normally caused by an intolerance to food, or a chemical that is touching the skin. Any digestive issues like bloating, gas, or constipation are a good sign that there is something wrong within the body. This is because the body is being challenged to try to break down the gluten. Many people who have a gluten sensitivity will have digestive issues until they eliminate gluten from their diet. When they completely cut out gluten, they become much better. When the body is not able to process gluten, the gluten is essentially able to gum up the body and creates a glue like residue that lines the digestive tract. This glue like residue will block the intake of nutrients, which the body needs for both mental and physical energy. The body will also use a lot of energy up trying to deal with this invader. Dark circles can be a sign of a food sensitivity. Over time, the body becomes worn down by constantly fighting the foods that it cannot digest. This taxes the adrenal glands, and slows downs the proper absorption of other nutrients. Both can lead to the dark circles that can appear under the eyes. If the colon and small intestine become gummed with the gluten that cannot be digested, the body is not able to create the amount of flora that it needs to break down other foods. If you add in the adrenal glands not working at their best, then your child’s immune system will end up being damaged. This will make them more susceptible to colds and flus. Many times, the body will try to discharge the mucus build up as it is going on. The mucus can be from the nondigested gluten, along with the other not so great foods that are in your child’s diet. A gluten sensitivity can lead to inflammation within the nervous system. This inflammation can lead to symptoms like dizziness, loss of balance, and tingling in fingers and toes. There are a lot of reasons for ongoing headaches and joint pain. Any inflammation that happens within the nervous system will usually lead to these problems, as the body will heat up trying to deal with the irritants. This lowers the amount of water in the body, and can trigger both headaches and joint pain. Many children that have a gluten sensitivity will show their diet problems in their behaviors. Mood swings are a good sign that your child is having problems with their diet. Also, the onset of anxiety or depression can be a side effect of a gluten sensitivity. In some children, ADD has been linked to a gluten sensitivity. So, you may want to think about testing your child for a food sensitivity, if your child has any of these issues. If it is a food based problem, it is simpler to fix by eliminating gluten, than years of using medication. So Why is Gluten Intolerance so Widespread? There are many different theories about gluten sensitivities and intolerances. The main idea that is believed to be the cause of gluten sensitivities and intolerance is that our digestive tracts have started to degenerate from the vastly improper diets that most people around the world have. The highly processed foods that many people eat on a day-to-day basis have been shown to destroy the digestive system’s integrity and wear down the tissues within the system. Another issue is that the soil is also being degenerated from over usage. This has led healthy foods to lose many important micro-organisms, and nutrients. The best option to find out if your child has a problem with gluten is to do an elimination diet. This means that you will cut out gluten from their diet for at least 2 to 3 weeks, and then add the gluten back in slowly and watch for any symptoms from before. As gluten is a type of protein, it could take months or years to be fully removed from the body. This means that the longer that you and your child can wait to add the gluten back into their diet, the better the results will be. How Do To Your Treat a Gluten Sensitivity or Gluten Intolerance? The simplest way is to eliminate gluten 100 percent from the diet. This means no gluten at all. In some cases the trace amounts of gluten that are found in medications and supplements, or from cross-contamination are just enough to cause a reaction in the body. The 80/20 rule, or “not eating gluten at home, and eat gluten when you are out” is a huge misconception. For people with a gluten sensitivity, eating gluten even once a month can raise their risk of death by over 600 percent, as found by one study in 2001. Having a child with a gluten sensitivity can be hard, as your child is able to take some of what they eat on a daily basis into their own hands. Children that are school age may not want to have their diet changed. Many of the foods that we eat on a daily basis have gluten in them. Even though there are gluten free options on the market, most do not have the same taste as the foods they are trying to copy. The first thing that you need to do is to learn how to read labels, and make good choices about what you have in the house for both meals and snacks. The next step is to look into your child’s school. You will need a letter from your doctor that your child needs gluten-free options from the school’s cafeteria, so they will stock gluten-free options. Teachers and coaches should also be informed about your child’s dietary needs, so they can help create a safe environment for your child. The earlier that you are able to teach your child about what foods are safe and what they should avoid is the best option. Reading labels is harder to teach, as there are many types of ingredients that would classify as gluten, which are hard for a child to remember. However, the main ones should be learned as soon as you know what they are, and that your child is able to read ingredients listed on labels. Learning how to speak up and ask if there is gluten in the food they order in a restaurant is another important skill that your child needs to develop. They will need to do this so they will be safe in their daily life. The best option to be able to help your child with school and other events, where there may not be a gluten-free option, is to provide them with food. People that eat a gluten-free diet are the masters at carrying foods and snacks everywhere that they go. You can use an insulated bag that is easy to carry and is appealing to your child, to make this food carrying easier. There are a lot of different designs and sizes, but a book bag style is great for children. Make sure that the bag always has at least one main dish, and a handful of snacks. This helps lower the temptation for your child to eat unsafe foods.